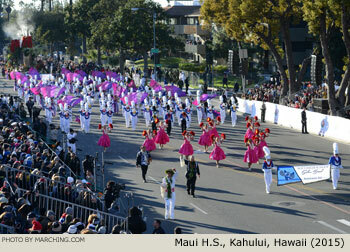 Bands performing in the 2015 Rose Parade looked and sounded spectacular despite lining up in the coolest temperatures the event has seen in more than 50 years. 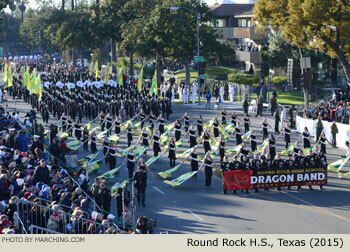 The parade featured marching bands from across the U.S. and around the world, including high school and university bands from 11 states plus international bands from Denmark, Mexico and Japan. 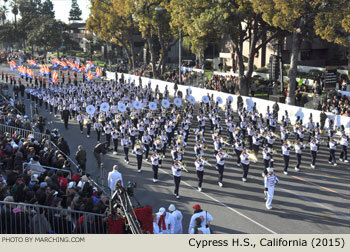 All marching bands from the 2015 Rose Parade are pictured here in order of appearance. 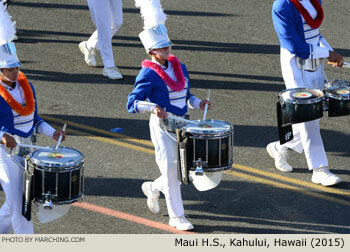 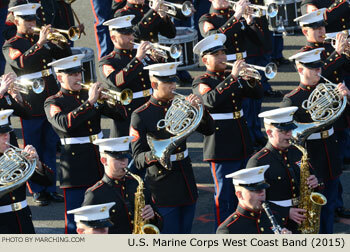 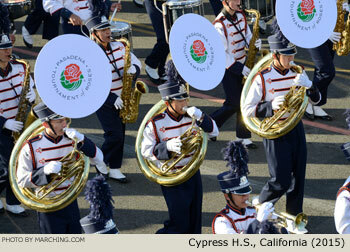 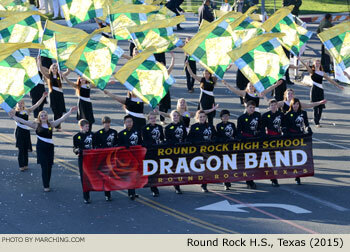 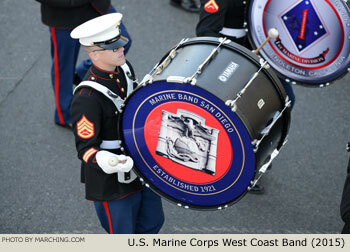 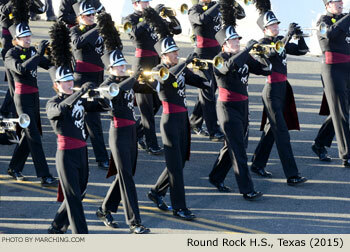 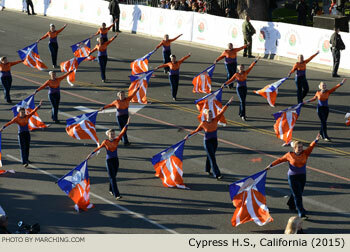 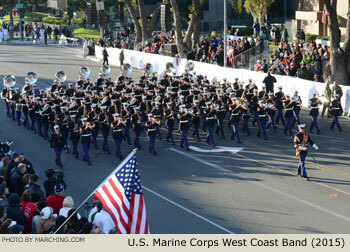 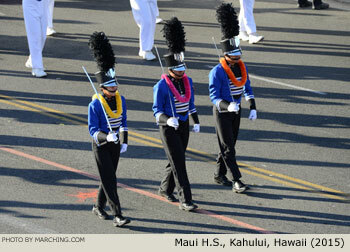 Also see Tournament of Roses Bandfest Photos and Rose Parade Float Photos.